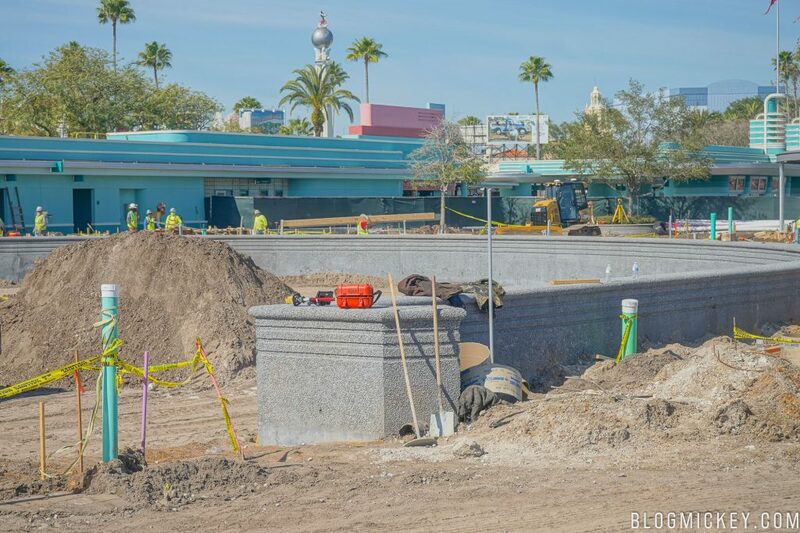 We made it out to Hollywood Studios this morning to check out the new morning welcome message, upgraded Monsters Inc meet and greet, and more, but we couldn’t avoid noticing all of the construction going on to enhance the entrance experience at the front of the park. 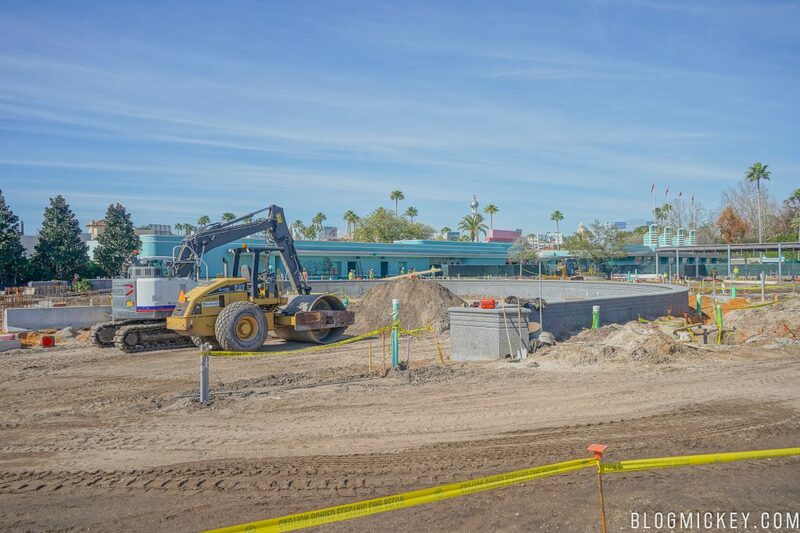 With this post, we’ll take a look at the new Hollywood Studios bag check construction. We first spotted some vertical construction on the project back in mid-January. The project was pretty quiet up until that point, but has been a hotbed for construction ever since. 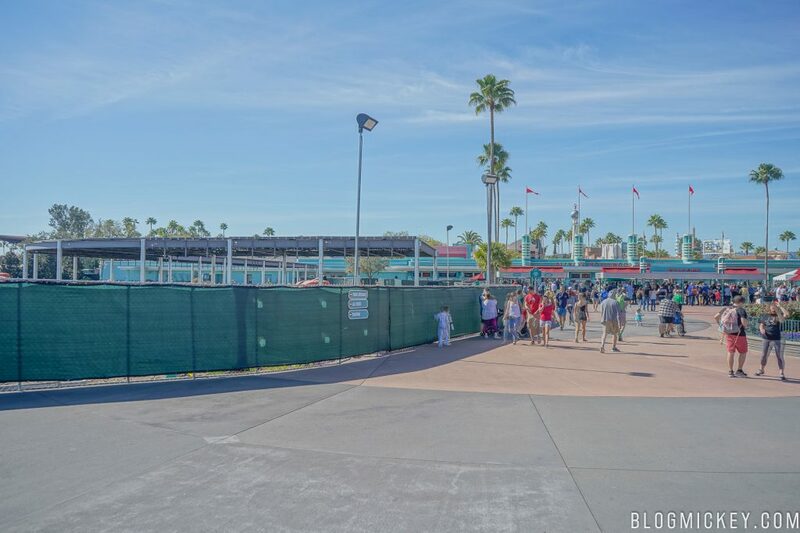 Here’s a look at the location of it as it relates to the current Hollywood Studios bag check area. Here’s a better look at the construction from the same angle. The current bag check area is still to the right of the below photo. Here’s a reverse angle of the above photo. As you can see, preparation for a concrete pour is underway on the near side of the structure. 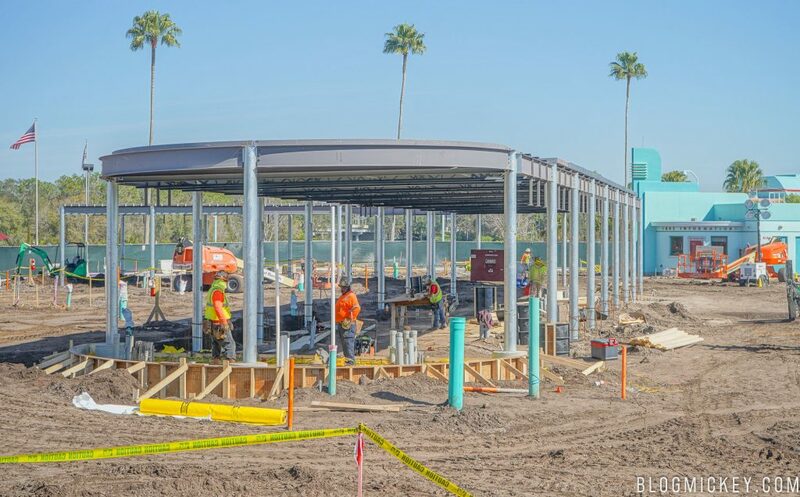 The length of the structure will allow for more bag check lanes than there are currently at Hollywood Studios. 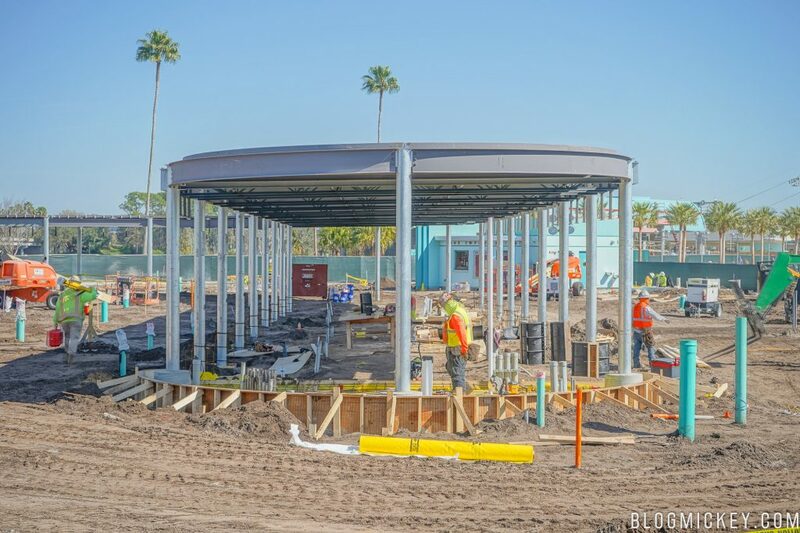 Here’s a look at the structure from the parking lot walkway. New construction can be seen in the foreground and this angle gives a little bit better perspective of the length of the structure. 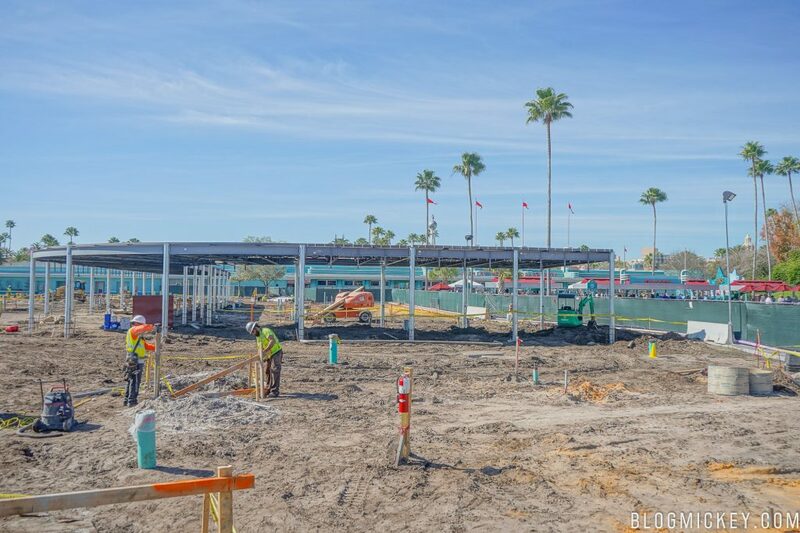 Not only is a new bag check area under construction, but so is a parking lot tram drop off area. 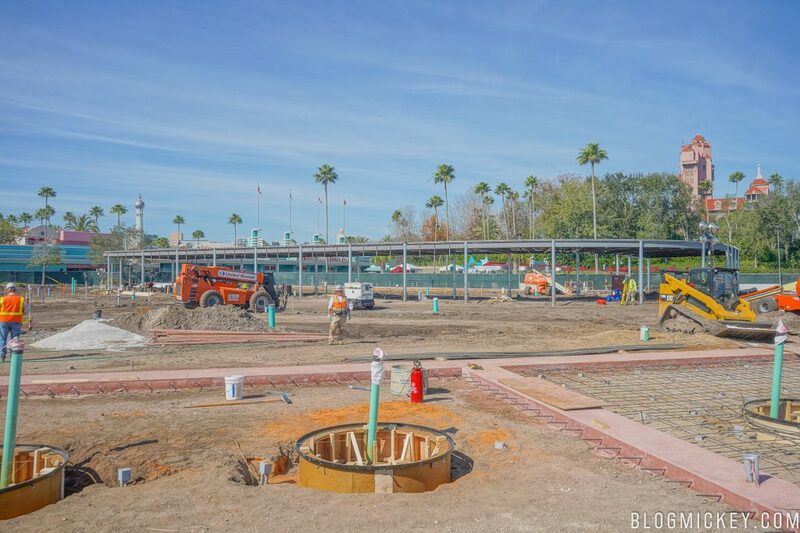 When it’s all said and done, we will still have a longer walk into the park then with the old parking lot tram drop off area. 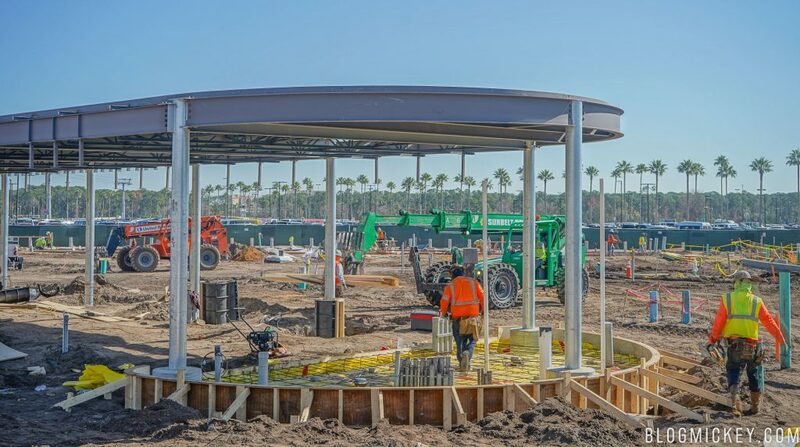 For context, the new bag check area is where the old tram drop off area was, and the new tram drop off area is closer to where some of the old bus drop off area was.